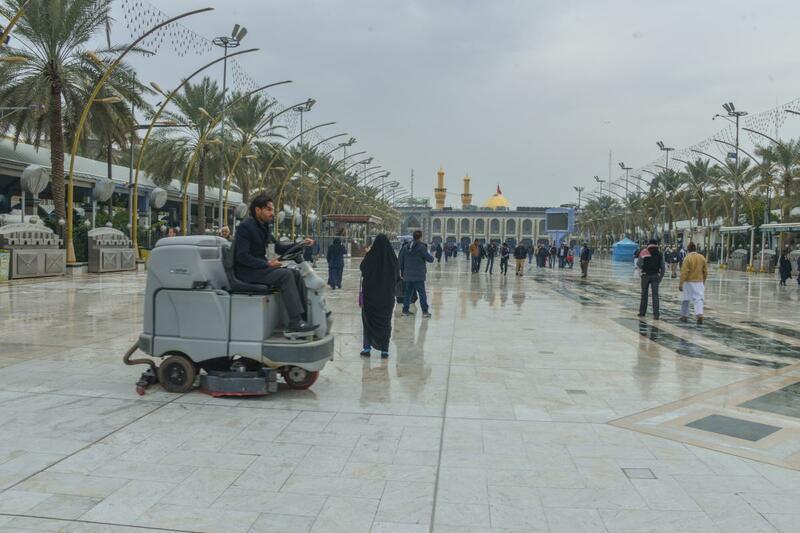 Employees of the service unit in the department of the area between the two holy shrines working tirelessly. 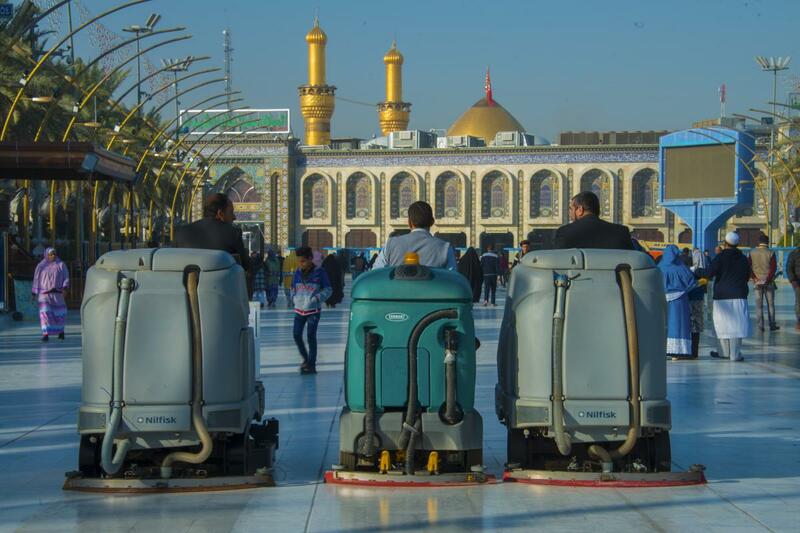 Al-Kafeel Global Network has interviewed the official of the service unit at the Department of the area between the two holy shrines; Malek Khalil al-Janabi, who stated: "The geographical area of our work extends from the Gate of Imam Musa al-Kadhem (peace be upon him) in the al-Abbas's (p) Holy Shrine passing by the square between the two holy shrines, to the Gate of the Holy Head in the holy shrine of Imam al-Hussayn (peace be upon him), and it also includes the streets surrounding the square between the two holy shrines." 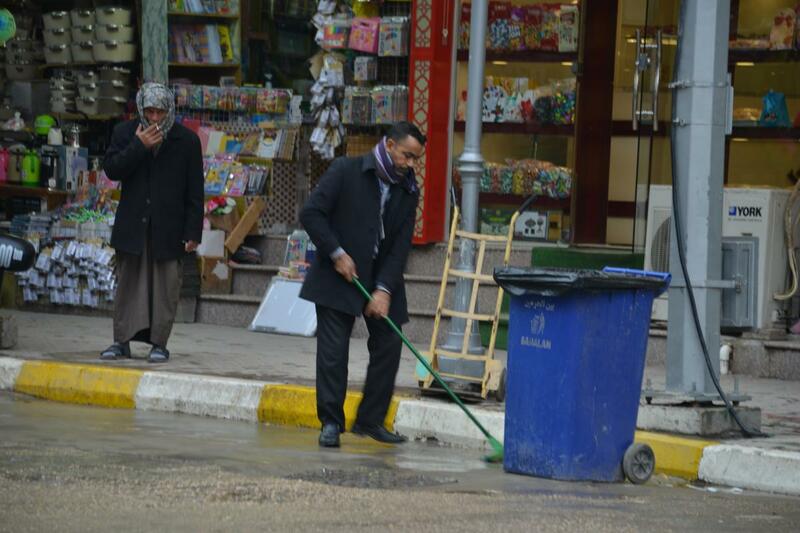 He added: "The work of the unit is on several tasks, such as cleaning the streets surrounding the square and the pavement, washing the streets and unloading the garbage containers following a weekly program. 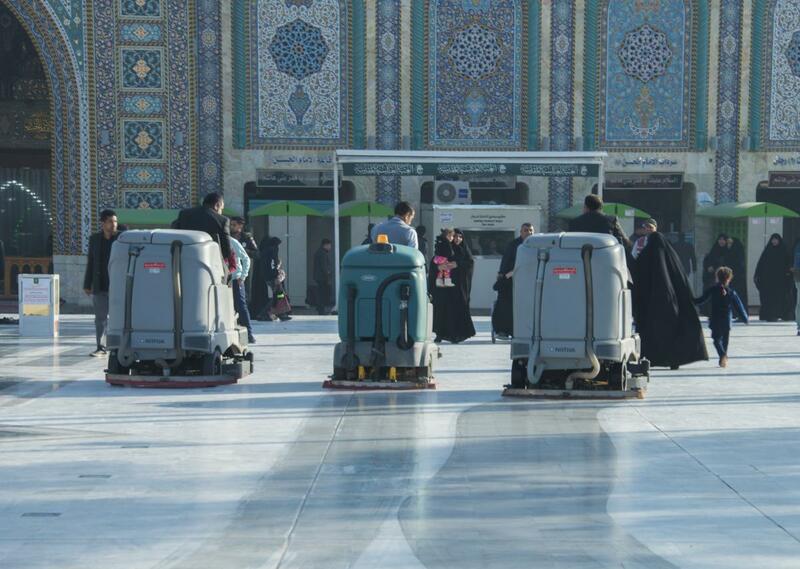 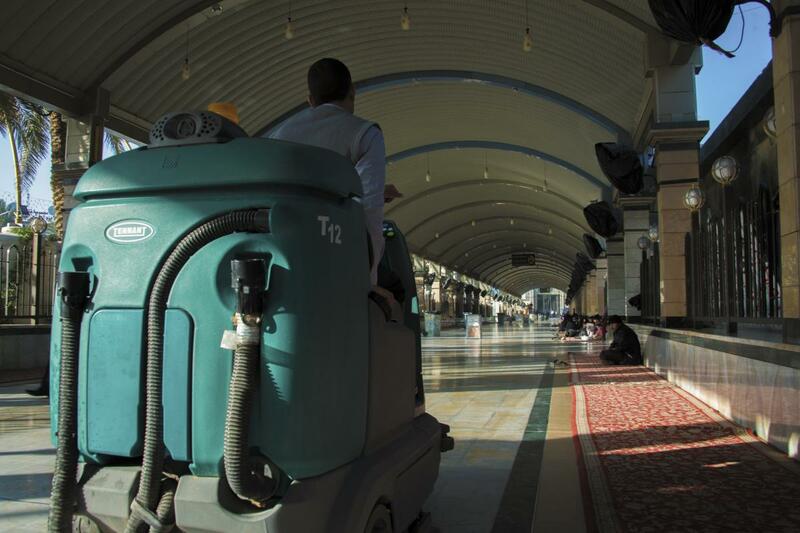 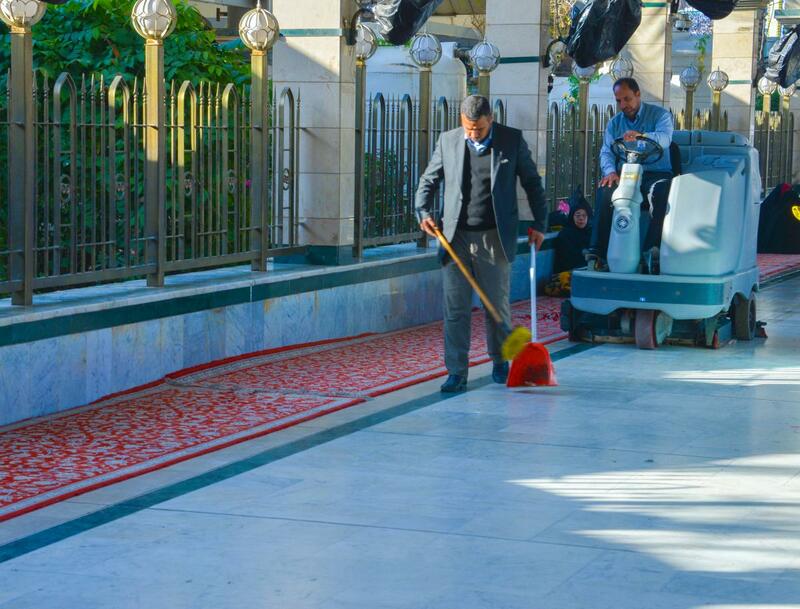 As for the square between the two holy shrines, we do the work of washing and sustaining the marble in the square and under the arches by special washing vehicles owned by the unit, after removing the carpet, which is laid for the purpose of prayer or for the visitors' rest on a daily basis." 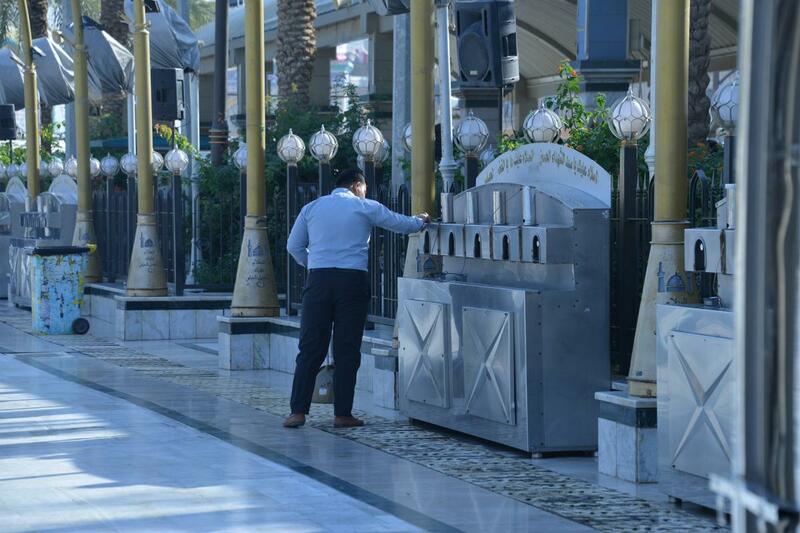 He added: "We also wash the refrigerators of drinking water and places of ablution as well as the iron fence, as well as monitoring the cleanliness of the square and the streets around the square around the clock, even when the visitors are seated there. 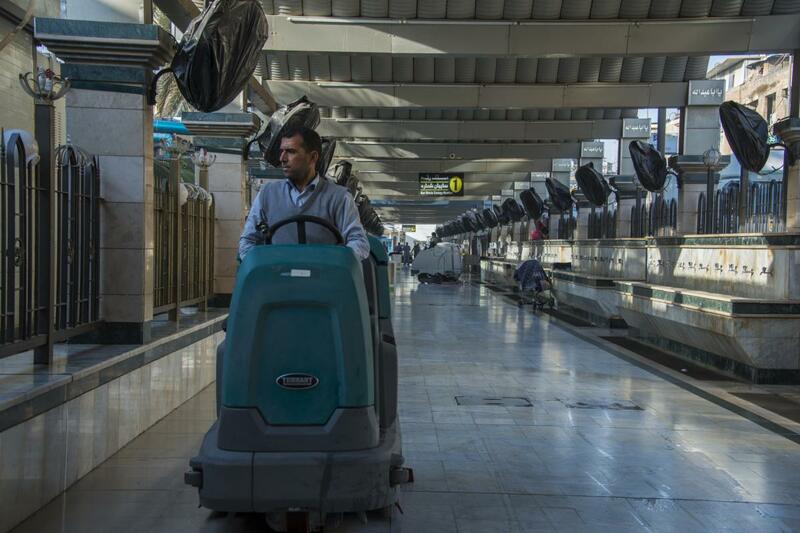 The unit has 120 employees that work in three different shifts (morning, evening and night)." 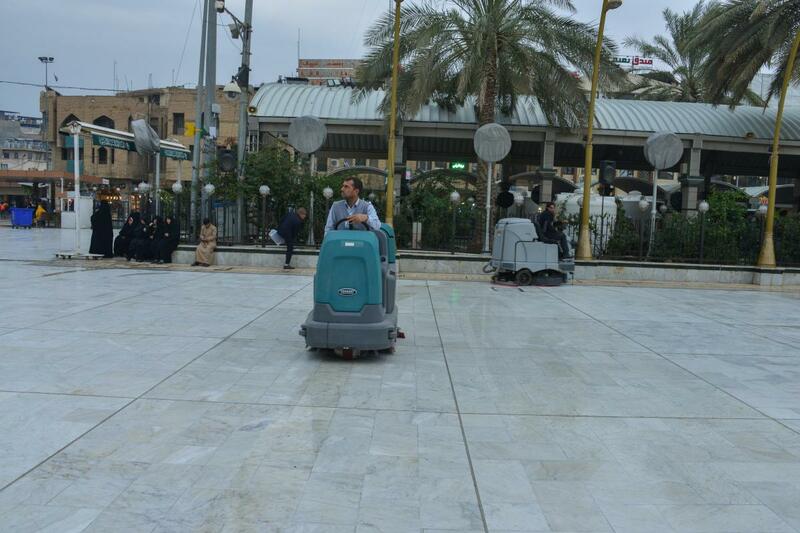 Mr. al-Janabi indicated also: "Every Sunday and Monday, we wash the arches of the square between the two holy shrines and at night we wash the roads, taking advantage of the small momentum of the visitors at night on these days. 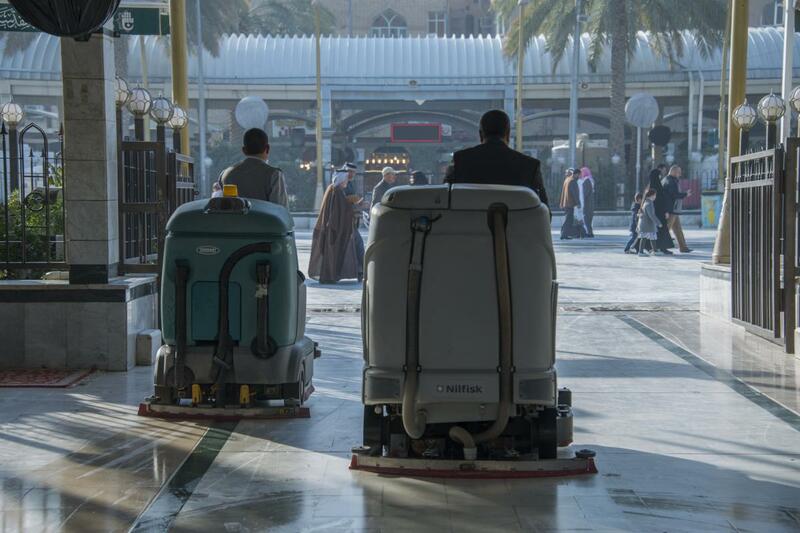 The washing work is executed in cooperation with the brothers in the vehicles division, who provide the specialized vehicles for the washing process carried out by our unit. 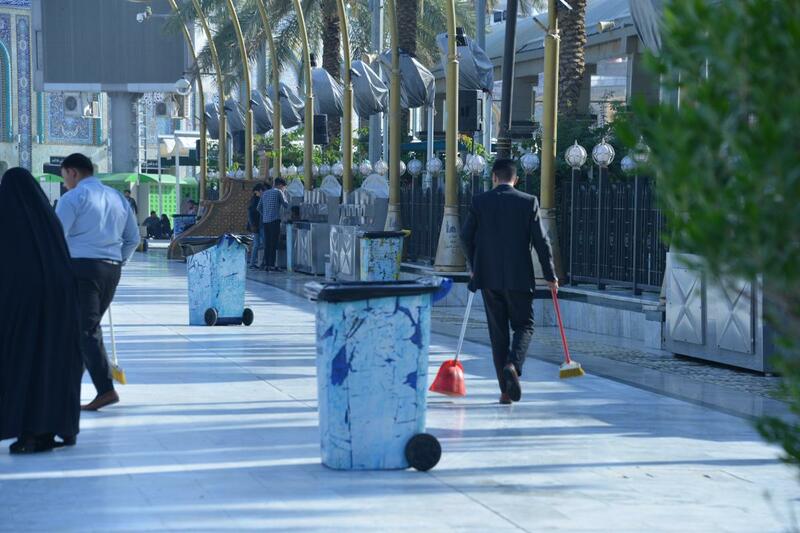 On Tuesdays and Wednesdays, we wash the containers in the square and its surrounding streets. 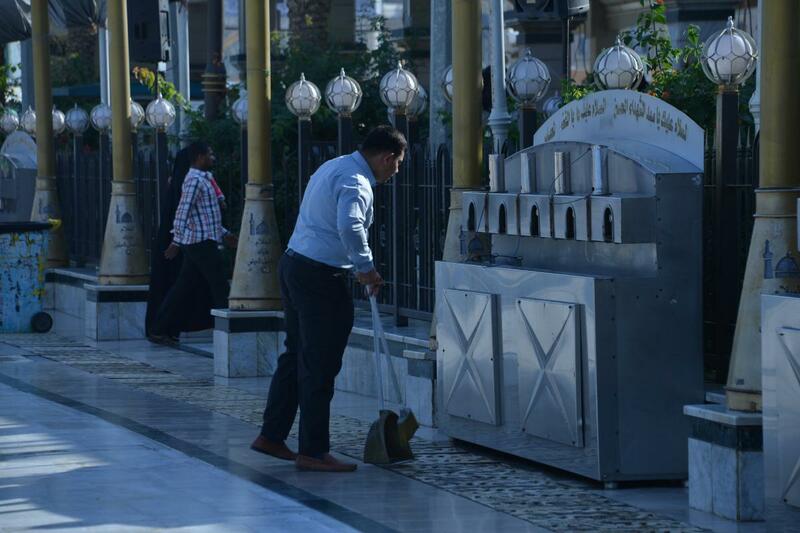 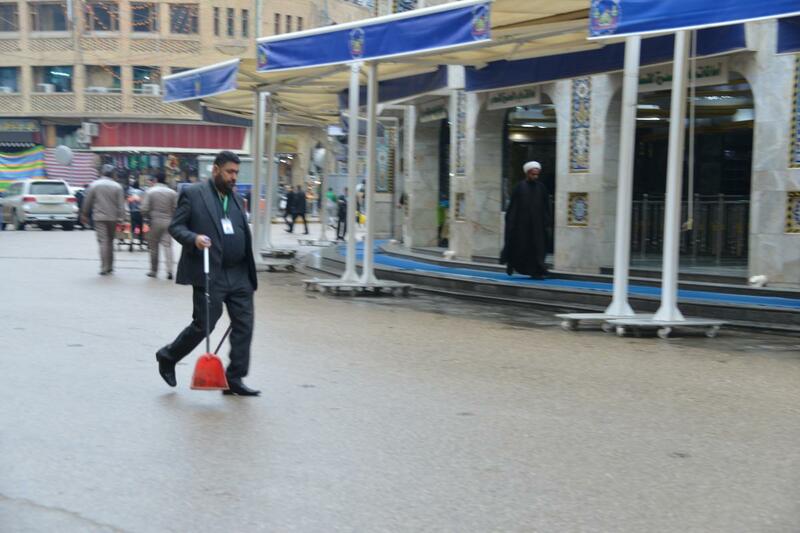 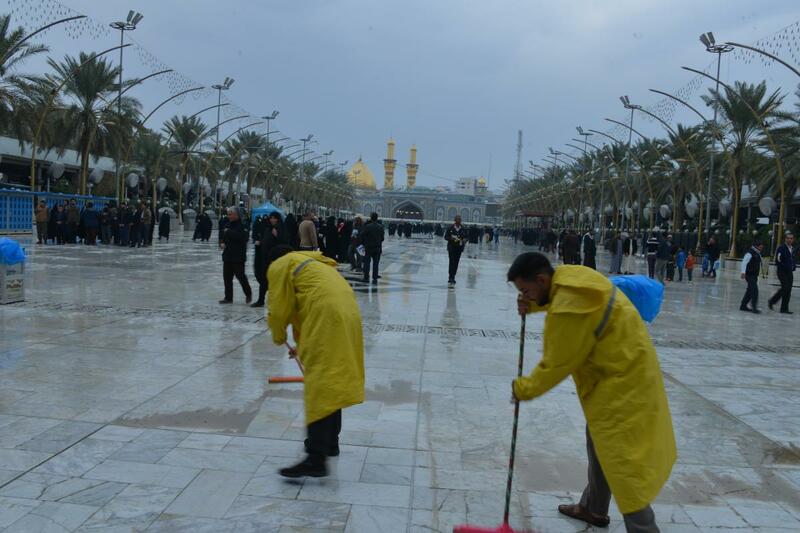 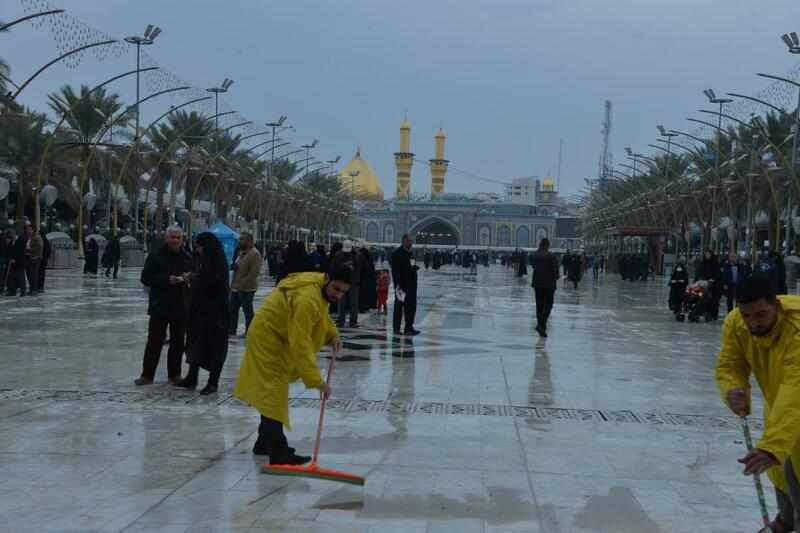 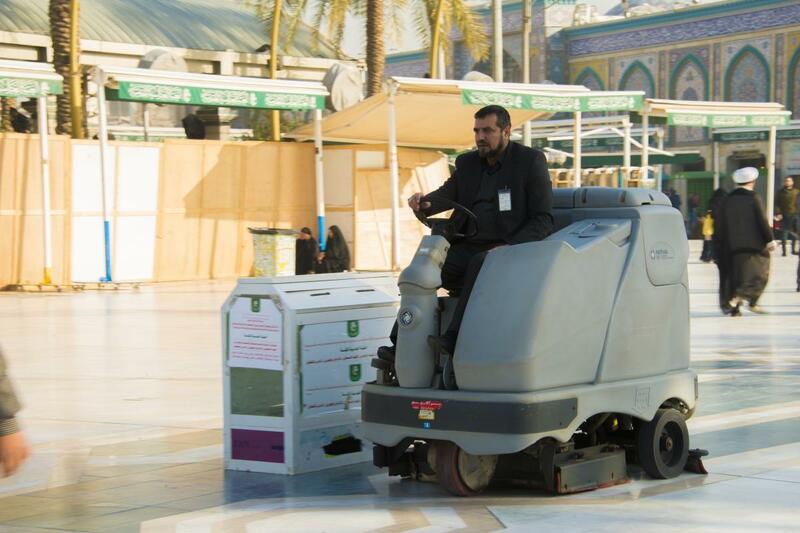 And every second Friday, we perform the washing works of the middle area of the square between the two holy shrines." 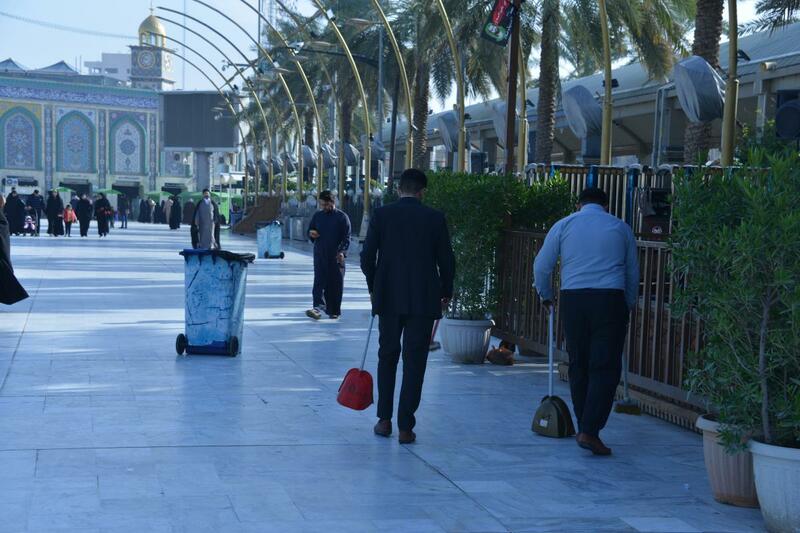 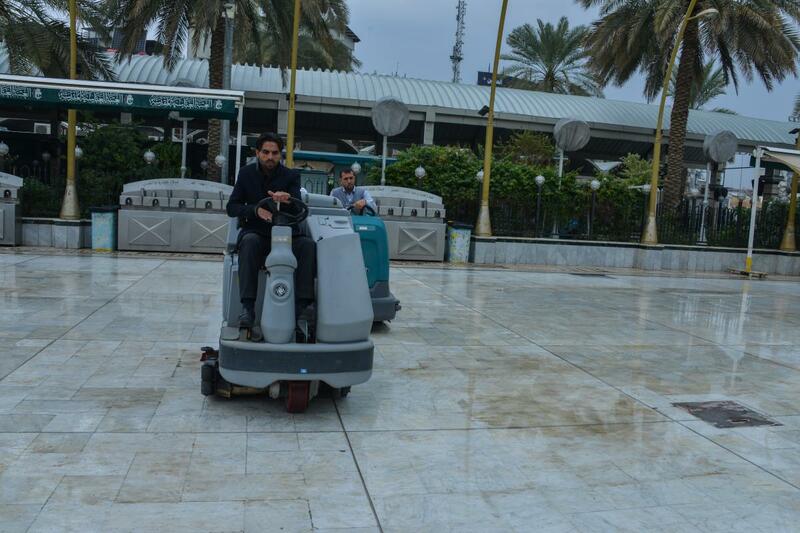 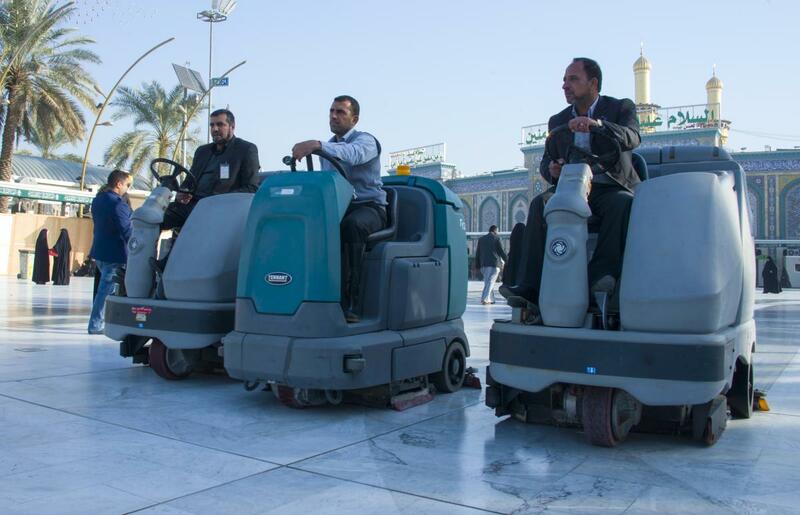 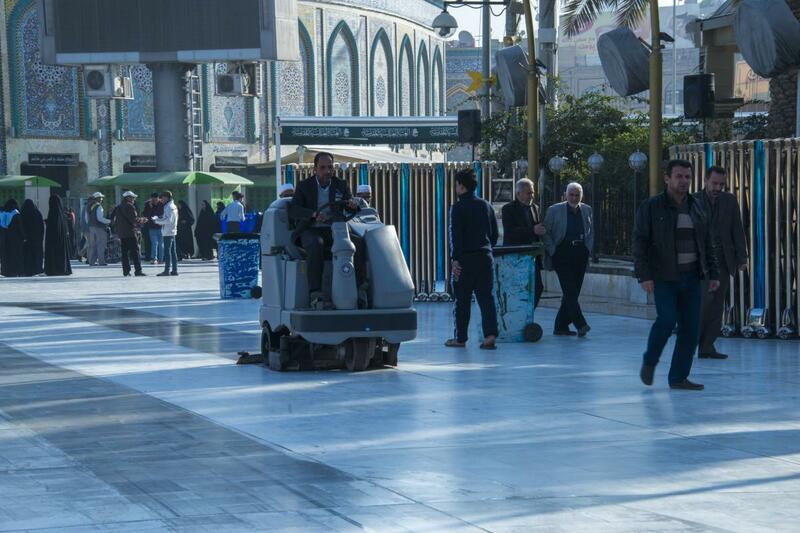 Pointing out that: "Our unit has decided to maintain monthly the sewage system around the square between the two holy shrines, using the sewage special vehicles from the Vehicles Division or from the Municipality of the Karbala province. 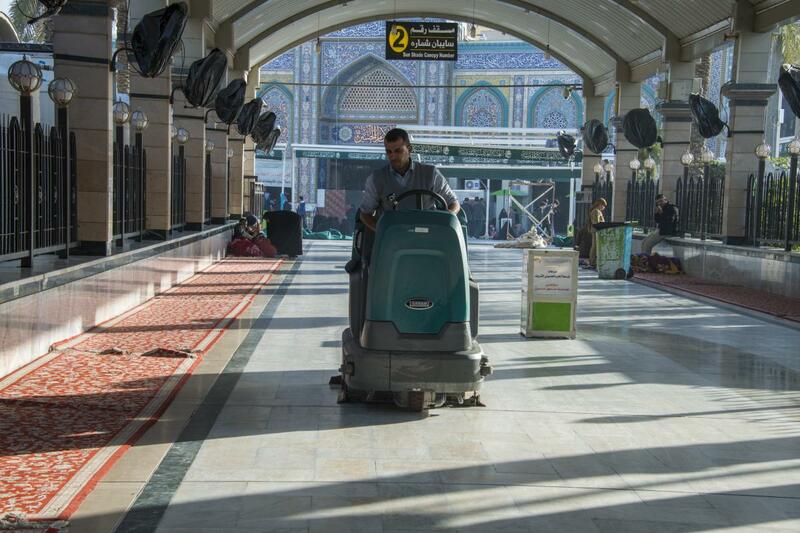 The need for this work was due to the sewage breakdowns because of the heavy rains."